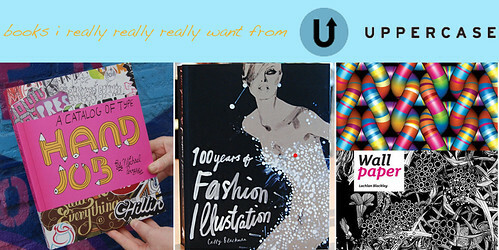 (I love) UPPERCASE highlights the world of graphic design through its gallery, books & papergoods. The gallery presents work by illustrators, photographers and graphic designers. The eclectic book selection features titles hand-picked for their uniqueness and quality of design and content. Here are some of the books I really want to read/see/have in my collection from their online shop. Erie Basin birthday gift…could it get any better?